License requirements can vary by state, so it is important that you are careful about who you are hiring as a private investigator. It is illegal in most state to practice business as a private investigator without a license. However, if you are about to hire a private detective, it is important that you ask them to provide their license and certification documentation upfront. Contact your state’s Department of Consumer Affairs to learn about requirements in your state and to confirm that the investigators you are considering are licensed. There are many professional as well as unethical people working in the private investigator industry. The best way to find a reputable detective is through personal referrals. However, most people do not use the services of private investigators regularly, so it may take a little work to find a professional you can trust. Your state’s association of private investigators can be a good referral source, as well as attorneys who often use private investigators for proof of evidence in civil cases. When you contact a private investigator, ask if they can provide references. Another thing to keep in mind is the range of services that the investigator provides. Every detective provides different specialties aside from the usual fact-finding surveillance. Therefore, it is important that you are careful about the services that are being provided to make certain it is relevant to your needs. If you need GPS tracking or a licensed investigators report admitted into court, you want to hire a detective with experience with those services. Although a they can obtain access to records the general public can’t, you want to hire a private investigator that is respectful of what can’t be done legally. When it comes to hiring a private detective, it is also important to verify billing specifics. Ask for details about their charges and their retainer policy. For example, when checking rates, include questions about billing of phone calls, stand-by-time, and mileage. Most detectives charge an hourly rate and require a retainer fee. You may request video or photo proof of surveillance areas to verify they are present and working on your case. When it comes to hiring someone, you should always check the samples of their work to ensure that you are hiring a Houston private investigator with experience. Also, check their educational background, work history, and certifications. 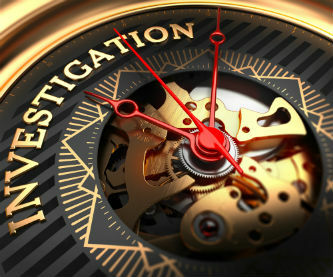 It is also important to keep in mind that the private investigator you are hiring might need to testify in the court. There are investigators with law enforcement or federal agent backgrounds that know how the system works or how to produce evidence that will work well in court. All in all, hiring a Houston private detective is achievable if you are mindful of the important steps that you need to research when it comes to hiring detectives.